Looking for our books? Is your favorite bookstore telling you 4-6 weeks delivery? We'll drop one in the mail to you the day we receive your payment - YEP, the SAME day! 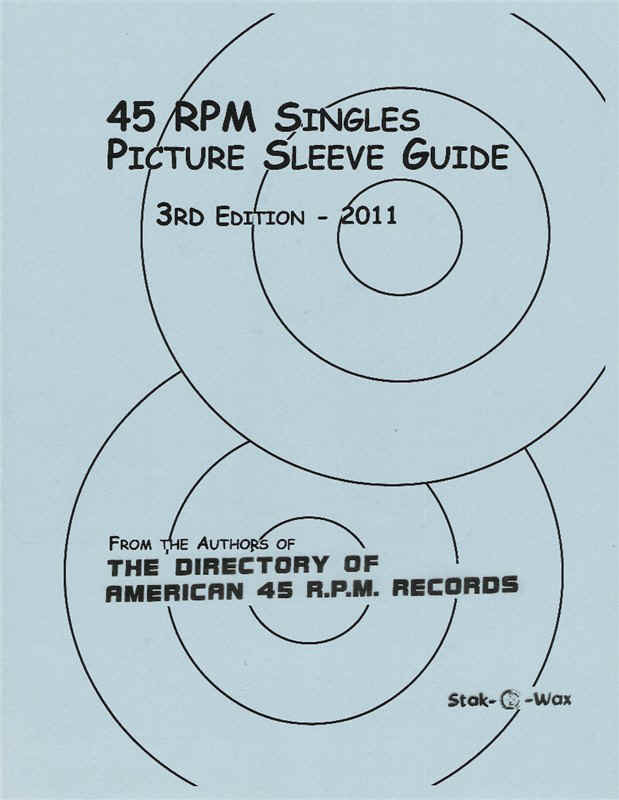 Our books, "The 45 RPM Picture Sleeve Guide - 3rd Edition","The Directory of American 45 R.P.M. Records", "The Complete Book of Dairy Creamers", "M&M's Around the World" and "Tomart's Price Guide To Kid's Meal Collectibles (Non-McDonald's)" are available from the authors (that's us!) . "The Directory of American 45 R.P.M. Records" - We have an entire page of our website devoted to our ongoing reference books - the 5-volume set that is the ultimate guide to American singles released from the beginning ('49) up through the present. Click here to visit that page for more info. 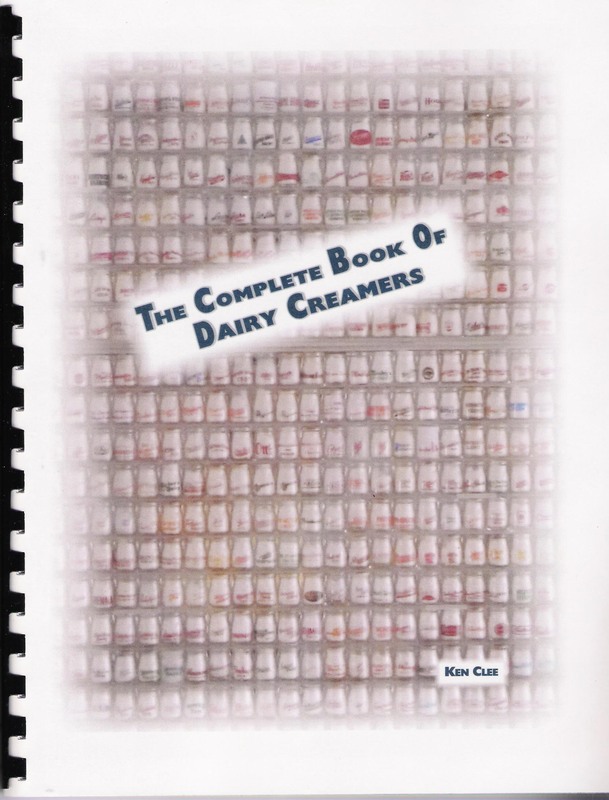 -----> "THE DIRECTORY"
"The Complete Book of Dairy Creamers" This book takes on a great new look in its 8 1/2" by 11" format with a full color cover. Now you can see 40 creamers at a time instead of just 16, and the new book makes it virtually impossible to ever buy a fake. It includes about 3,125 creamers representing everything in the top collector's collections, and it is extremely unlikely that you will ever find an authentic creamer not pictured in this newest edition. All creamers that have been reproduced are now identified with the illustration. The city and state of origin is included for about 85% of the creamers in the book. A check mark square is included in each illustration, so you can mark off every creamer that you find. The newly added creamers are illustrated in the new format, and many of the creamers already pictured in past editions have been re-illustrated to make them clearer. It has been renamed in its new form as the "COMPLETE BOOK", as the new "creamer bible" makes it impossible to buy any of the fantasy or reproduction creamers currently available to unsuspecting buyers. New additions to this book are a section on creamer go-withs, FAQ's about creamer collecting, in addition to about 900 new listings. Much more for the same price. A must. Carry a copy everytime you go hunting. Just send $34.95, plus $3 ($10.00 outside the US) for S&H to the address below. 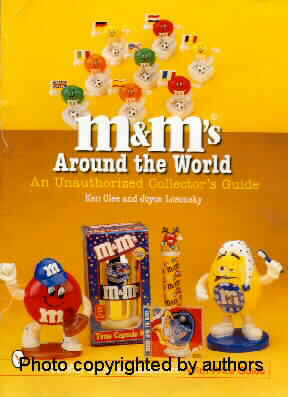 "M&M's Around the World" - This 8 1/2 by 11 inch, 160 page, full-color book from Schiffer Publishing was written jointly by Joyce Losonsky and Ken Clee and includes M&M collectibles available through the end of the millennium. It includes listings, pictures and prices for almost 60 tins, a similar number of plushes, over 300 different toppers from the US and around the world, all known dispensers in all sizes from the US and elsewhere, all of the Pocket Surprise toys, 60-70 different Ernie Irvan NASCAR autos, plus hundreds of pictures of older and unusual M&M items never seen before from everywhere around the world. It is the ultimate M&M guide, and you can have yours before they are available at your favorite bookstore or distributor. We have copies ready to mail NOW. Just send $29.95, plus $2.00 ($9.00 outside the US) for S&H to the address below. 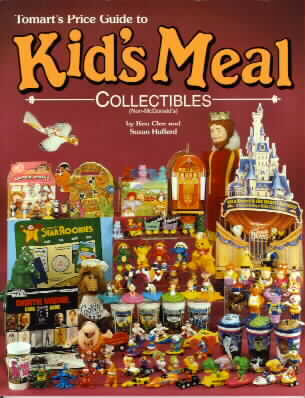 "Kid's Meal Collectibles" - This 8 1/2 by 11 inch, 176 page book (16 in full color) from Tomart Publishing was written by Suzan Hufferd and Ken Clee and includes complete listings of all kid's meal programs from 28 different restaurant chains from when they first began, up through the date the book was published (April '94). It includes pictures and values for every toy, as well as the boxes or bags, translites, displays and other advertising. The book covers the kid's meal programs of Arby's, Big Boy, Blake's Lotta Burger, Burger Chef, Burger King, Carl's Jr., Chick-fil-A, Dairy Queen, Denny's, Dominos, Dunkin' Donuts, Hardee's, IHOP, Jack in the Box, Lee's, Little Caesar's, Long John Silver's, Pizza Hut, Popeye's, Roy Rogers, Sonic Drive-In, Subway, Taco Bell, Target, Wal-Mart, Wendy's, Whataburger and White Castle. 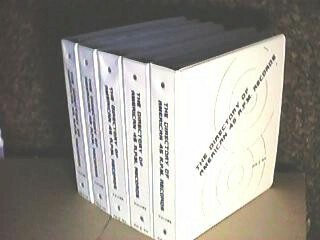 More than a price guide, it is the only complete reference on the history of all early promotions. Just send $25.95, plus $2.00 ($9.00 outside the US) for S&H to the address below.